Demonstrating the credibility of a thin wing future supersonic business jet. 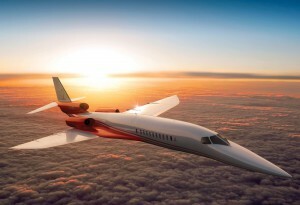 Ingenium’s customer was concerned with the feasibility of packaging high-power, dense, safe flight control systems within the thin wing structure of a supersonic business jet. The purpose of the study was to provide an objective assessment of the feasibility of a safe flight control actuation system (FCAS) within very tight package constraints. Ingenium Aerospace recognized the packaging and power density challenges associated with this effort. As part of its standard gated process, Ingenium was able to create a solution for the vehicle platform that maximized commonality across the vehicle while keeping weight to a minimum. The Ingenium team created preliminary models, power and performance sizing for all the flight control location and packaged them into the current volumes. Working cooperatively with the customer’s aerodynamicists and experts, Ingenium was able to address weight, redundancy, reliability, power density and packaging issues. As part of this assessment, Ingenium also provided the trade study assessing electromechanical electrohydraulic and hybrid solutions. Ingenium Aerospace delivered a credible and reasonable study containing the flight control actuation solutions for this vehicle in less than three months. The vehicle architect used the Ingenium presentations and study information to enhance the credibility of their thin wing supersonic business jet solution. The customer was pleased with Ingenium’s support efforts and looks forward to fully developing the actual flight controls for this vehicle with Ingenium. This product is currently in development.